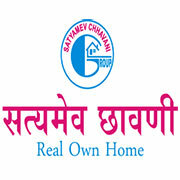 The establishment of the firm Shree Gayatri Realty Pvt. Ltd. Took place in Ahmadabad with the objective of constructing quality & art full residential & commercial assets and developing land in the urban and sub-urban area to fulfill the demand of emerging mega city. The firm mainly deal in developing all kinds of commercial & residential assets such as flats, Bungalows, shops, Offices & Residential plots in the developed city of Gujarat (India) and special development in capital of Gujarat (Gandhinagar) and industrial capital of Gujarat (Ahmedabad developing as a megacity) and other cities in Gujarat. Head office of the firm is located at 20/21, First Floor Sarthi Complex, Nr. Visat Petrol Pump, Sabarmati, Ahmedabad. Our office premises is fully flanged in accordance of separate director’s cabin, Conference Hall & reception at the entrance, with Visitor’s waiting area. Also entertain our visitors with separate pantry. Our office is fully equipped with the latest communication equipments and technical working equipment. We are having a group of highly experienced and skilled civil engineers Architects, Structural engineers and Sub ordinate men power to achieve desired goal. Our Motto is to be established in this realm by providing complete satisfaction to our clients.